Our smart quiz captures your interests as you explore, producing a useful recommendation report. 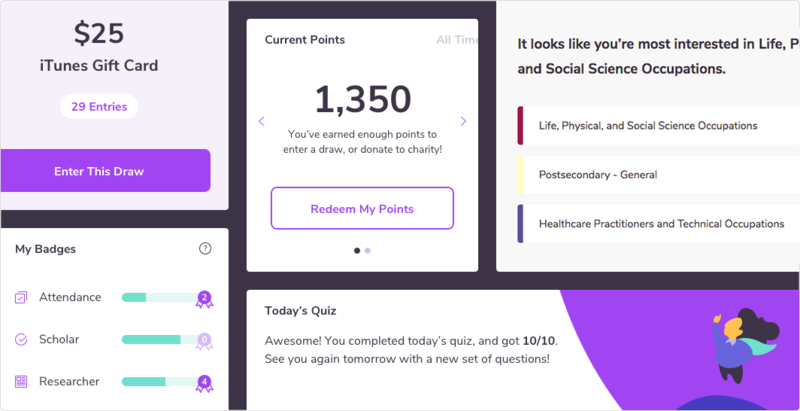 Use your points to win prizes, help a charity, raise funds for your school, and level-up in world rankings. You create a 'class' and we provide the gamification and challenges for students. Watch them earn while they learn. Students visit higher ed and career websites to explore and identify their interests. Your teacher dashboard captures their activity and interests. Our smart quiz builds students’ knowledge of options and guides them towards their passion and interests, unlocking a recommendation report. Join 5,249 classes of the world’s most informed students who have answered 9,894,480 higher education and career questions. Engagements on the platform today. 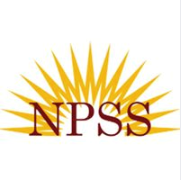 Total funds raised by schools across North America. Total funds raised for charity. I can't wait to check in with my kids on Friday and see what they have learned! I look forward to sharing the program with my colleagues and students. Thank you for the resources! The reporting feature at ChatterHigh provides me with valuable insight as to which US colleges my students are connecting with and allows me to monitor the amount of college research the student is doing ... or not doing! I'm excited for the information our students have gained, and the opportunity to use the money to help support work like this in the future! I was immediately impressed by the concept of ChatterHigh and how it provides a brilliant and effective platform for students and families to engage with post-secondary information. 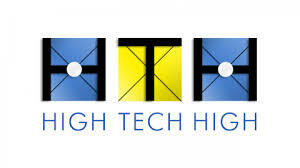 If our goal for students is to broaden their awareness of opportunities, then ChatterHigh definitely meets this need. 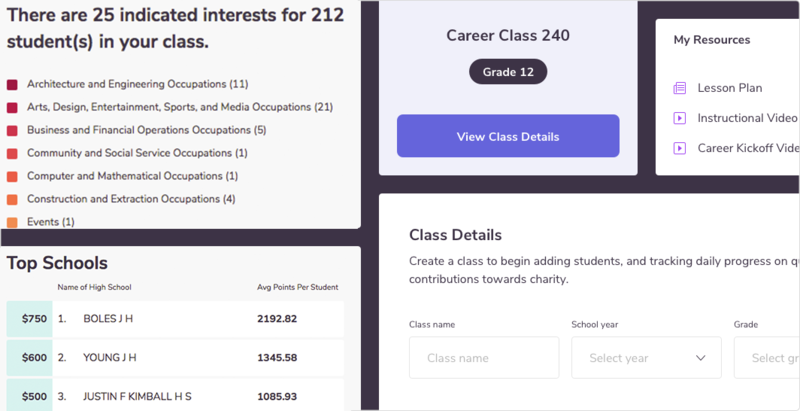 ChatterHigh is doing a great service by making labour market info not only interesting and relevant but, even more importantly, accessible to 21st century students. This was of great benefit to us! The built-in links to current info exposed us to the variety of post-secondary and career options that we would have never considered before. Copyright © 2012 - 2019 ChatterHigh Communications Inc., All Rights Reserved.